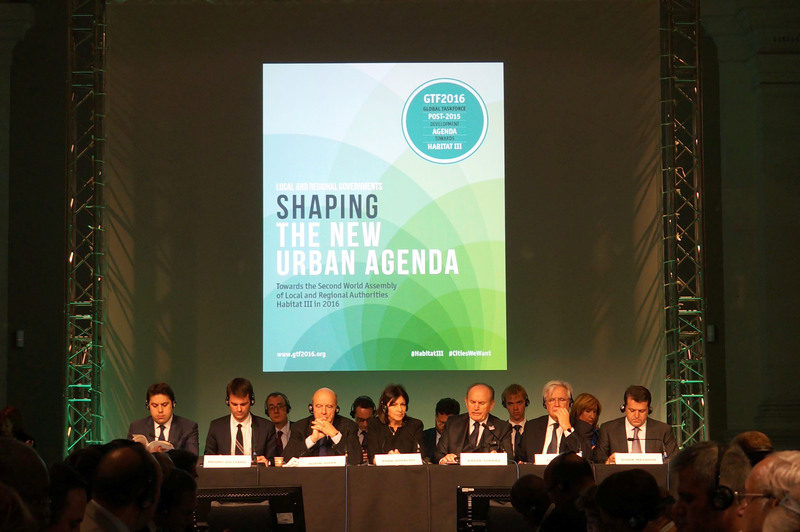 On 4 December 2015, local and regional leaders from around the world gathered at Paris City Council at the invitation of Mayor of Paris and UCLG Vice President, Anne Hidalgo. With the climate negotiations between UN Member States underway, Paris City Hall became a showcase for the political leadership of mayors and local leaders on ensuring a sustainable future, and for the action that cities and territories are already taking to mitigate and adapt to climate change. The day began with the celebration of the UCLG World Council, the largest and broadest democratic body of local and regional governments in the world. Over 500 local leaders discussed some of the key global issues on the political agenda of local governments. Mayor of Istanbul and President of UCLG, Kadir Topbaş, expressed the solidarity of UCLG with the Mayor of Paris, the people of France and for all people suffering violence, wherever they are. A minute’s silence was held in remembrance of those killed in recent terrorist attacks in the French capital. He delivered the presidency report highlighting the important progress made in international advocacy and consolidating the different parts of UCLG, including the research and city-to-city learning agenda. Three political motions were presented by the Mayor of Paris, Anne Hidalgo, Mayor of Barcelona, Ada Colau, and Mayor of Dakar, Khalifa Sall. Anne Hidalgo presented a motion highlighting the need for local governance and the promotion of local democracy to be at the heart of the New Urban Agenda, and the Mayor of Dakar, Khalifa Sall, presented a motion on the implementation of the 2030 Agenda at local level. Mayor of Barcelona, Ada Colau, presented the motion on local and regional governments’ solidarity and preparedness instrumental to the humanitarian crisis. A significant list of local leaders from around the world expressed their support to the different motions. In particular the Mayor of Madrid, Manuela Carmena, who called for the organization of a peace conference under the auspice of UCLG. The Mayor of Barcelona asked for the development of a working group of UCLG dealing with the humanitarian crisis and in particular the refugees; and Petro Gustavo, Mayor of Bogotá, called for the local government position on climate to call for the application of the Tobin tax and addressing the conflictive market driven interest. A range of local leaders contributed to the debate in the World Council meeting, including Annemarie Jorritsma, President of CEMR, Illiza Sa'aduddin Djamal, Mayor of Banda Aceh; Mayor of Bogotá; ; Alain Juppé, Mayor of Bordeaux; Hugues Ngouelondélé, Mayor of Brazzaville, Michael Müller, Governing Mayor of Berlin; Khalifa Sall, Mayor of Dakar; Kadir Topbaş, Mayor of Istanbul; Ilsur Metshin, Mayor of Kazan; Berry Vrbanovic, Mayor of Kitchener; Daniel Martínez, Mayor of Montevideo; Denis Coderre, Mayor of Montréal; Alexey Shaposhnikov, Chairman of the Moscow City Duma; David Lucas, Mayor of Mostoles; Anne Hidalgo, Mayor of Paris, Mohamed Sadiki, Mayor of Rabat; Mónica Fein, Mayor of Rosario; Roland Ries, Mayor de Strasbourg; Jan van Zanen, Mayor of Utrecht and Aisen Nikolaev, Mayor of Yakutsk, among others. Anne Hidalgo opened the Summit by warning that “the crisis of climate change isn't in the distant future, it's now", expressing her gratitude to mayors for coming from every corner of the planet to discuss a challenge that is both environmental and social. During the opening ceremony the French President, François Hollande expressed its conviction that local authorities need to be the drivers of change and recognized the need to ensure adequate funding. 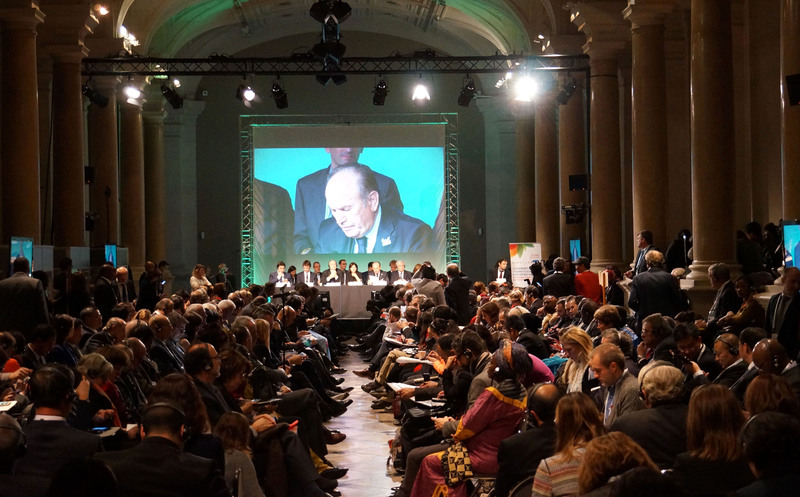 The Climate Summit for Local Leaders culminated with the Paris City Hall Declaration where local and regional governments expressed their commitment to continue working in mitigation and adaptation and requested world leaders to reach a far reaching agreement.